Chinese telecommunications giant ZTE agreed to pay a $1 billion fine and submitted to the strictest compliance measures ever issued by the Commerce Department on June 7 in order to regain access to U.S. technology crucial to its business. 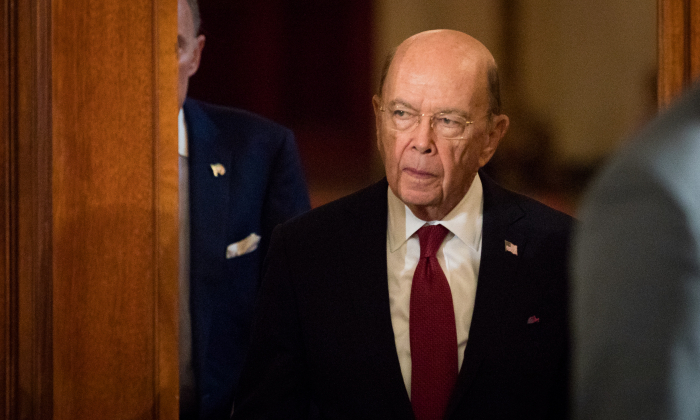 Secretary of Commerce Wilbur Ross announced that ZTE will pay a $1 billion penalty up front and deposit $400 million in an escrow account. The Chinese cellphone maker also agreed to replace its entire board of directors and senior management in 30 days and to have a compliance team assembled by the U.S. Commerce Department embedded in its operations. Under the 23-page deal signed at 6 a.m. on June 7, ZTE will pay the salaries of the compliance team, which will report to the department’s Bureau of Industry and Security and ZTE’s new chairman for 10 years. An outside compliance team is already working with ZTE as part of the precious trade enforcement deal. ZTE had previously violated U.S. sanctions on North Korea and Iran. That violation was settled in March last year, with the company agreeing to pay an $892 million fine and place $300 million in escrow. American authorities later learned that ZTE had lied before, during, and after the March 2017 deal. The company allegedly paid bonuses to employees who violated the sanctions, while telling American counterparts that those employees had been disciplined. In response, American export watchdogs blocked ZTE from buying crucial components and software it needs for manufacturing cellphones and telecommunications equipment from American tech companies like Qualcomm, Google, and Corning. The president also explained that his show of good faith was motivated by a desire to cultivate a good relationship with Xi. Trump pointed to the ongoing trade negotiations between the two countries, suggesting that the ZTE decision is a bargaining chip in the ongoing high-level trade talks. The combined penalties paid by ZTE now add up to $2.29 billion, with an additional $400 million in escrow that the United States can withdraw in case the Chinese company runs afoul of the deal. ZTE originally violated U.S. sanctions against Iran by conspiring to “supply, build, and operate telecommunications networks in Iran using U.S.-origin equipment in violation of the U.S. trade embargo,” according to a statement from the Commerce Department. The company also violated hundreds of U.S. sanctions by shipping telecommunications equipment to North Korea. The deal also comes less than a week before Trump’s Singapore summit with North Korean leader Kim Jong Un. Beijing is crucial for maintaining strict international sanctions against North Korea as Trump seeks to force Pyongyang’s reclusive communist regime to abandon nuclear weapons. Most of the goods enter North Korea via its border with China. Trump has thanked Xi for maintaining strict control of the boundary. About 60 percent of the components in the company Axon M smartphone come from American manufacturers including Qualcomm, SanDisk, and Skyworks Solutions, according to ABI Research. A total of 1.46 billion smartphones were shipped globally in 2017, with ZTE shipping 42.8 million. The deal is unlikely to result in a quick rebound for ZTE. The ban on parts froze its ongoing telecommunications projects around the world, with customers demanding compensation. The ban on software also cut off millions of ZTE users from updating their Google Android operating systems.